INTERNATIONAL REPORT—Four new properties in sunny climes are in various stages of construction, including brand debuts in Belize and St. Kitts and two new hotels in Mexico. Autograph Collection Hotels will debut in Belize with the 2020 opening of Alaia, a boutique resort in the southern part of Ambergris Caye island. The resort will join the 135 independent hotels in the brand’s collection. Ground was broken at the end of 2017 with a launch plan of five phases. 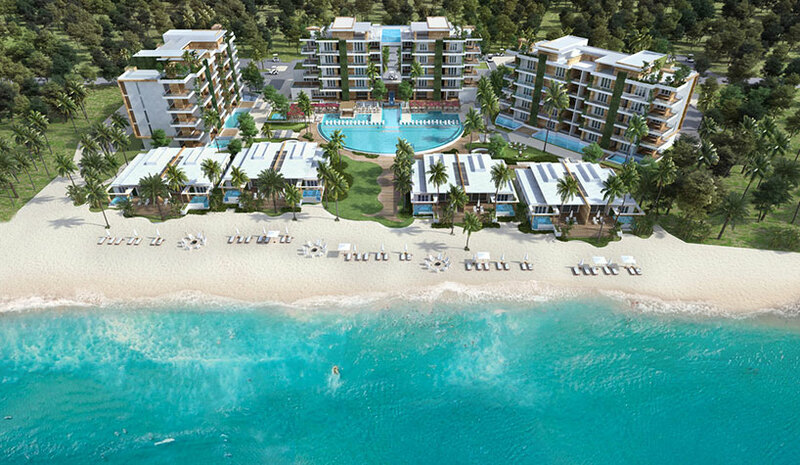 It will feature a conversion of 35 units, 56 two-bedroom condominiums with lock-off option and eight oceanfront villas, totaling 155 keys when completed in 2020. When completed, Alaia will include a beach club exclusive to guests and residents, a rooftop suspended pool and lounge, full-service spa, fitness center, kids club, dive shop and live art gallery. The resort will be crafted by a design team including i.E. Architecture, and interiors by Brazilian designer Debora Aguiar, who is known for her eco-luxury aesthetics. Designed to highlight the splendor of its natural surroundings, the residences will feature approximately 70% of fabrics and raw materials from Belize, including rustic marbles and other stones, reclaimed wood, linen curtains, textured beige walls and earth-toned hues to complement the views of the Caribbean Sea. Six Senses Hotels Resorts Spas is making its debut in St. Kitts in 2021, with a property set on the site of a former sugar cane plantation. All of the projected 70 pool villas and The Retreat will have sea views. Guests will arrive at the resort through an old sugar cane plantation, passing the organic garden to the reception area before being taken by their GEM (Guest Experience Maker) to their villa by electric buggy. Each villa will use sustainable and repurposed materials. Six Senses St. Kitts is a project by Range Developments with design, management and marketing by Six Senses Hotels Resorts Spas. Solaz, a Luxury Collection Resort, Los Cabos, scheduled to open in June, will be the brand’s first hotel in Baja California Sur, Mexico. Operated by Quinta del Golfo de Cortez (QGC), the resort will include a 128-room luxury hotel and 21 residences on 34 acres overlooking the Sea of Cortez. Designed by architectural firm Sordo Madaleno, the resort’s cascading terraces will blend desert vegetation with quarry stone, granite, marble and wood to “create an architectural sculpture of breathtaking design amidst desert landscaping.” Each guestroom and suite at the resort will include a private entrance and patio; custom, contemporary furnishings; and original art. AccorHotels will soon be breaking ground on the Novotel Mexico City Insurgentes (WTC). Construction will begin during the second half of 2018 and the property is scheduled to open in 2020. The new hotel will be situated in front of the World Trade Center Mexico City (WTC), and will be the second for the brand in in Mexico City and the third in the country, elevating the group’s presence in the region with more than 20 hotels countrywide. The property will have 106 rooms.